Popularly known as Marnie Marie Michaels (Hannah’s best friend) on the HBO comedy-drama series Girls, the talented U.S actress Allison Williams, also takes on the stage as a comedian and a singer. In 2017, she appeared as Rose Armitage in the horror film Get Out, which won the Academy Award for Best Original Screenplay, at the 90th Academy Awards held at the Dolby Theatre in Hollywood, L.A in March 2018. 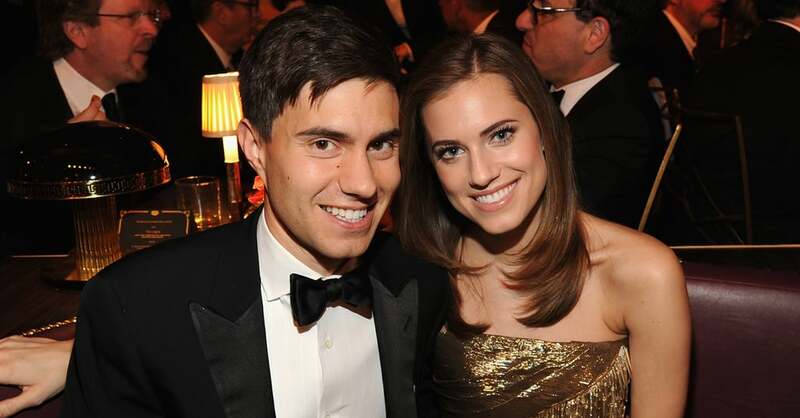 Allison was born on the 13th day of April 1988, in New Canaan, Connecticut as Allison Howell Williams. She is the first of the two children born to former NBC Nightly News anchor and managing editor Brian Williams and Jane Gillan Stoddard (TV Producer). Williams attended Greenwich Academy, New Canaan Country School and Yale University where she was a member of the improv comedy troupe ‘Just Add Water’ all through her years there. She also participated in the YouTube college musical series. Her journey to fame began in 2010 when she appeared in “A Beautiful Mine”, the theme song for the television series Mad Men. The performance of the song got out on YouTube and was widely received and praised. It was on this video that the director of the HBO comedy-drama series Girls, Judd Apatow, spotted Allison Williams and was convinced she would do well should she be given a chance on the series. She was invited for auditioning which she scaled through and has been on the series since it first premiered in April 2012. Asides her appearances on Girls, Williams has also made appearances in other TV series like in the season III of The League, she appeared in an episode titled “The Guest Bong.” In 2014, she starred in an NBC’s live television presentation of the musical Peter Pan Live, and in a short film collaboration between Prada and David O. Russell titled Past Forward. In 2017, she played Rose Armitage in Jordan Peele’s hit movie Get Out. Peele called her for the role after seeing her performance on Peter Pan Live. Currently, she is working on the set of the third season of the Netflix series A Series of Unfortunate Events. Allison Williams has also appeared as Cheryl, in the CollegeHumor series Jake and Amir. Allison is happily married to Ricky Van Veen. The couple began dating in 2011 after meeting through a mutual friend. After dating for about three years, they announced their engagement in 2014, and the following year, precisely September 19, 2015, they tied the knot at a private ceremony in Saratoga, Wyoming. U.S actor with filmmaker Tom Hanks officiating the wedding. The couple currently resides in Chelsea, New York and have no kids of their own. Ricky is an entrepreneur and co-founder of the College Humor – an acclaimed comedy website. He is also the Head of Global Creative Strategy at Facebook and the CEO of a television production company, National, which is an upshot of College Humor. To his credit also, he has also starred in some College Humor videos, including the Hardly Working, MTV program The CollegeHumor Show, and Jake and Amir. His net worth is currently estimated at $25 million, as against his wife’s $2 million. As mentioned above, Williams is not the only child of her parents, she has a younger brother named Douglas Williams. Doug is an anchor at SportsNet New York. The Girl star’s brother and husband have one thing in common – they look alike so much such that photographers and even the media constantly mistake one for the other at red carpet events, which usually reflects in the photo captions. While Williams feels it is a problem, Ricky thinks otherwise because he gets credit for doing public appearances and red carpet events that he so hates. He loves that he gets credit because he is ‘walking the red carpet’ just in “Doug”‘s body. The Girl star stands at the height of 5 ft 5¾ in, which is 167 cm, she has a slim body that weighs 54 kg (119 pounds). Her body measurements are 34-24-34 in or 87-61-87 cm. Her dress size is 2 (US), 32 (EU), her shoe size is 7(US) and her bra size is 32B. Allison is obsessed with the Duchess of Cambridge, Kate Middleton and once did a series of Funny or Die sketches, in which she starred herself as Kate with English actor and model Oliver Jackson-Cohen as the Duke of Cambridge Prince William. She is the only member of the Girls cast without any tattoo. Allison was once considered for a role in Fantastic Four. She is an ambassador for Horizons National. Recently, she was on the on the Politico podcast Women Rule, discussing women in Hollywood, her political views, advocacy, and millennial activism.